‘Umuganda’ (meaning community work) involves the whole country, including government ministers, participating in a compulsory work programme. From the capital city of Kigali, where normally busy streets will be deserted, through to the smallest villages in the remotest rural areas, Rwandans come together to work for two hours in the morning to engage and support one another in a range of projects to tidy and improve their communities. Whilst Umuganda has taken place in Rwanda for many years, the government reintroduced it following the genocide against the Tutsi in 1994 as a way of bringing unity across the country in city, towns, villages and rural areas. It brings together community members to work together, to help one another, and to develop a sense of pride in their community. During their visit, their third to Rwanda, the Glaven Valley team engaged in a range of community projects and activities in the Anglican Diocese of Cyangugu, located in the far southwest of the country close to the border of the DRC. In the hills above the town of Kamembe the team, working alongside a local building team, helped to construct a simple timber-framed, mud-lined house, and as the day of the official handover of the house coincided with Umuganda they were invited to help local community members clear an overgrown road, much to the amusement of the many people who had gathered to take part in the work. Previous houses built by Glaven Valley teams had been for widows and survivors of the genocide, but support, as in the case of this beneficiary, was now also being given to families of perpetrators. This gave an indication of the work the local church and Life in Abundance International, a local NGO who Glaven Valley was partnering, were doing to bring about ongoing reconciliation in communities where today families of both survivors and perpetrators live side by side, sometimes with tension and conflict. 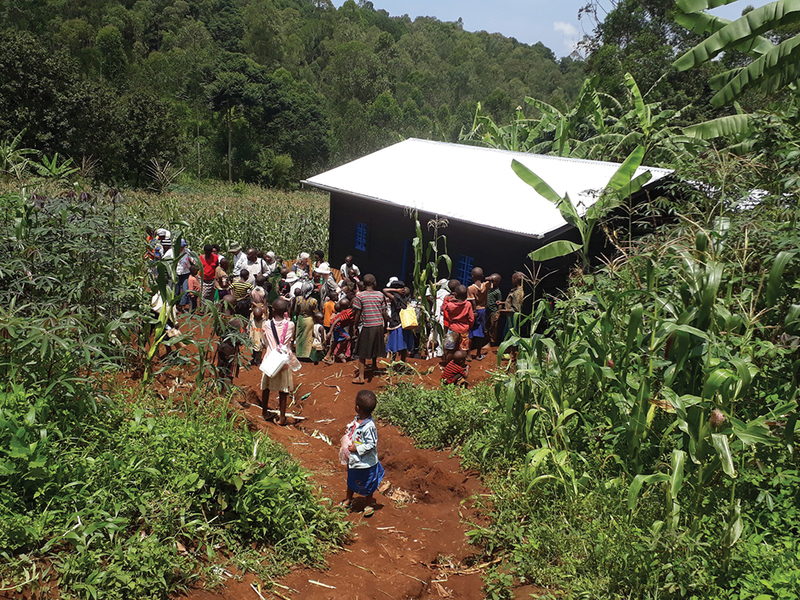 "We believe that through the gift of a house and place the beneficiary into a new community, she will become a witness for the church and to the people around her," said the Revd Claude Scott, the Glaven Valley Benefice team leader. After ‘Umuganda’ the team, together with the local building team, the house beneficiary and two of her sons, as well as local leaders, neighbours and members of the church and Life in Abundance, gathered for the official house handover ceremony. After keys were presented to the beneficiary, the customary speeches were made, and the house and family blessed in prayer; the team walked back to their vehicle leaving the beneficiary to be welcomed by neighbours to her new home and a new life in the community. 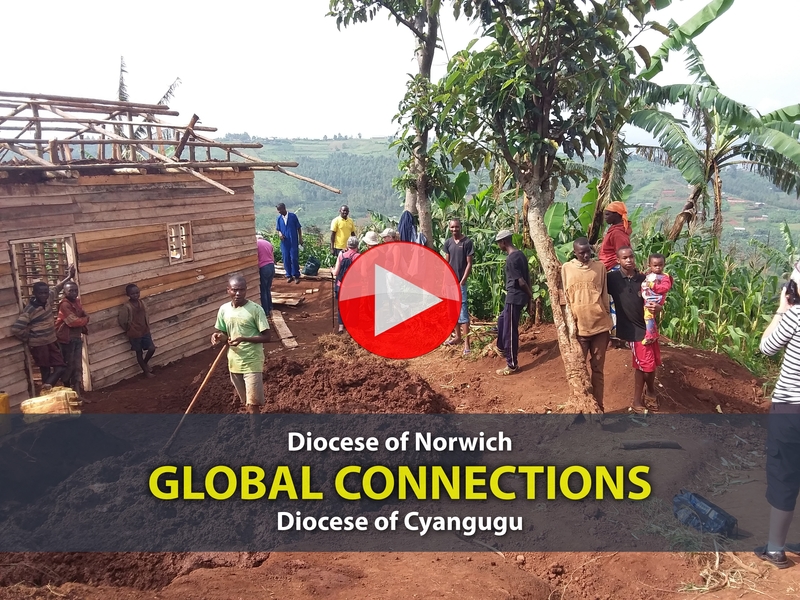 Below is a film highlighting the link between the Glaven Valley Benefice and the Diocese of Cyangugu.